For most businesses having a large number of twitter followers alone won’t bring business results. What is needed is an engaged audience. Follower numbers are mostly useless in judging the real-world influence level of a tweeter. A prolific tweeter with 50,000 followers posting 20+ tweets daily using automated tools can be impressive to some. What impresses me is an account engaging with a smaller audience. You Have a Face For An Avatar, Right? People find it easiest to make an instant connection if you have an avatar that shows a human face. But plenty of businesses are exploring online marketing opportunities through branded twitter accounts. Brands with logo avatars do have to work a lot harder to be seen as human, without the benefit of a face in their twitter avatar. Whether you’re using a logo avatar Your twitter should certainly showcase your business. But be sure to include some informative and resourceful tweets too. Whether you mix in selling messages once every 5 tweets or once every 100 there’s no certain recipe for twitter success. The more your twitter feed is not all about you, the more easily you’ll attract new followers. Do you have some resourceful tweets in your lineup? Educate, inform, delight, or amuse – tweets that are clearly focused on the needs of your audience help build trust right away. I used to be analytics-obsessed. What started me on the path to recovery was a skype chat with twitter friend @terrinakamura, a leading graphic designer on twitter. She shared with me that she tweets without consciously focusing on Retweets or click-through rates. She has more experience with social media than most 10 tweeters combined, so her comment made me reconsider my approach. She helped me realize that we are our own best judge of what’s appropriate to tweet. It may not be popular, may not get shared, retweeted or engaged upon – but we should tweet content that genuinely attempts to help others while also fitting our brand message. There is something irresistible about tweeters that show generosity and promote others. Do they have a few Retweets in their stream? Do they share others blog posts? Are they engaging and sharing their interests with others? Offering support, answers, commentary? This is someone who is building a genuine community and could become part of mine. If you’re trying tweet something of value, then most who preview your account will be likely to follow you, as long as at least one @ message is also present. A classic tip from my twitter friend @HilzFuld explains exactly how public @ messages work. When @ messaging someone you are limiting your audience to just those that follow you both, it is shows a less sales-oriented style which can be attractive to prospective followers. Twitter conversations show the world your diverse interests. Discussing topics within your industry can help broaden your network as well as explain your business focus. Accounts that converse online with other tweeters portray authenticity. Having a genuine, non-automated public @ message in your stream will often build a small degree of instant initial trust with potential followers. On the flip-side, if they’re not directing any tweets at other tweeters, that tells me that they are unlikely to engage with me either. If there are no public @ messages in the last 20-30 tweets this shows that the account doesn’t engage with people very often if at all – so they are less likely to engage with new followers. When someone previews your stream on the web interface twitter by default shows only the last 5 tweets. Popular twitter management tools like Hootsuite show a few more. One of the benefits of socializing with others on twitter is that you’re likely to have public @ messages showing when someone previews your account. 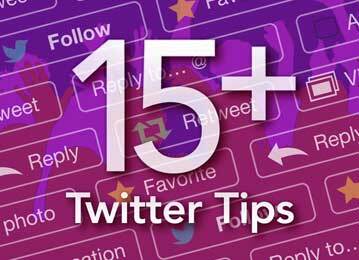 Twitter lists help tweeters who follow lots of accounts avoid their cluttered home timeline and allow them to follow or monitor their favorite tweeters in different categories. Lists also allow you to easily monitor someone’s tweet stream without the need to follow them. The number of people that choose to add an account to one of their public lists is a solid indicator of quality. Although twitter’s web interface no longer shows the total number of lists that a tweeter is on, Hootsuite and other twit-tools allow you to see the total number of times they are publicly listed. What Turns Off Twitter Influencers? To have maximum appeal to other quality twitter accounts, try to follow at least 10% less than your total number of followers. Twitter allows an account to follow more people than follow them, by about 10%, before you reach an actual following limit. Accounts that are pushing right up against this limit do not seem to be adding much value to the twitter community – often they seem to be using automated tools to try to grow their following rapidly. So you left town. More than a month ago. Bring your smartphone, tweet a photo from Paris every week or two. But if you stop tweeting your following won’t grow much, unless you’re a real-world celebrity. Simply tweeting links to helpful information is a good way to get started on twitter. Become instantly credible by showcasing your expertise by authoring your own content. Create content that you enjoy and that showcases your specific expertise. Photos, videos, blogging, e-books, informational graphics – whatever you’re good at and will enjoy creating over and over. Whether you tweet once a day or once a week, it helps have a consistent frequency that you can maintain even when your businesses is at its busiest. Are you focused on delivering quality, helpful information to your online audience? Then you can’t wrong on twitter. There are so many ways to compose a solid tweet. Your audience is unique, but one constant is they’ll appreciate quality and continuity. Regardless of which online tools you use to manage your twitter there will be lots of data to analyze to help judge what works and what doesn’t. I’ve used most of the free tools that are available to see which tweets get the most sharing, and from who, and also to judge optimal times to tweet. But smaller businesses with fewer followers should focus on providing value and spend less time on twitter analytics until the account has enough data to accurately analyze. Twitter is an excellent place to be authentic and be yourself. What interests you in business and in life? Tweet about it. Find what works for you personally. Mix that in to the needs of your business audience. Then start experimenting and find out what yields the best response for your business. Could your online audience answer the simple question: “What do you do for work”? Make sure they can, by tweeting about topics within your industry and specialty. In the past when I tweeted less design-related content I found that most would not know precisely what I do (I’m a graphic designer and branding consultant, by the way). So now I focus on sharing more design-related information. But What Makes Them ‘Loyal’? So you’ve worked hard to add personality and professionalism into your twitter, maybe even started creating content to showcase your business strengths – now what? Just keep at it. Consistency is one of the most important elements in building a loyal social media following. So keep those quality tweets coming! Keep an aye on what your audience seems to prefer and respond to. Fine tune your tweets to focus more and more over time on the needs and desires of your audience… and you can’t go wrong. Thanks for posting this Bear! As you know, I’m not exactly a newbie on Twitter but I am a SM novice and lately I’ve been contemplating ways to expand my community with quality, like-minded people. Ultimately, I want to learn how Twitter can help my business but I’ve discovered that doesn’t necessarily mean PROMOTING my business on Twitter. You’ve provided some solid standards here to keep in mind as I further forge a strategy. I appreciate your willingness to answer questions I’ve posed and some I hadn’t even thought of. I’m still in curator mode for now but we designers are natural creators so I’ll be cooking up ideas for a blog soon enough (please don’t tell @KrisColvin or she will hound me relentlessly). In regard to our little contest of completing a blog post by Friday, 3/8 or else 40 push ups… I’m introducing my face to the floor right now. …this type of content would be easy for us designer types to come up with. Good luck and hope to see you blogging soon. Fabulous blog as always! I agree 100%, Twitter is about building trust, putting out “good information” and building relationships. Thanks Robin, I’ve been enjoying your recent blog posts too. And, way to summarize twitter: ‘build trust / good info / builds relationships’ – works for me! Excellent blog, Bear. I am no Twitter expert but always love the idea of less automation and more engagement with loyal collaborative people. Thanks Jac. If only twitter had skype-like built-in video we could see each other more and be more personable with our twitter network. Nothing builds loyalty better than face to face. Did you know you can do all of the above things and still not grow your Twitter audience? That’s because there is one more thing you need to do, and this is the most important thing. You need to engage with your audience. Engagement happens not just when you send tweets out, but when you have conversations with others directly using their @username in public mentions or privately send them direct messages (note that you can only send direct messages to those who are following you). Hi Kelvin, thanks so much for stopping by and sharing your outstanding advice on engaging tweeters using @ mentions.